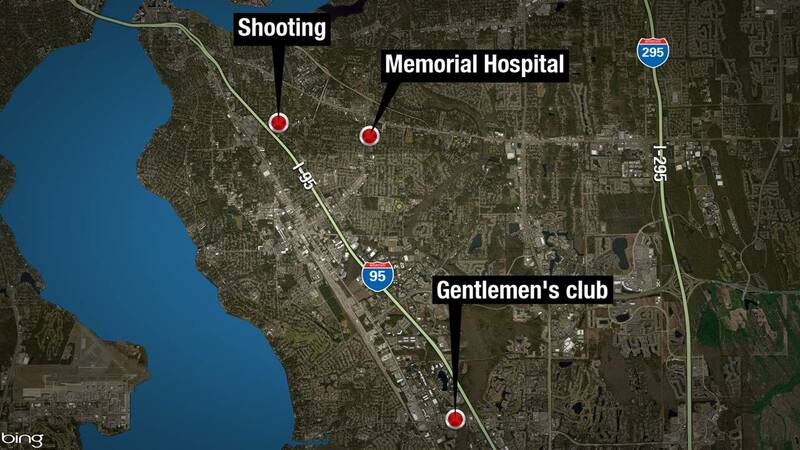 JACKSONVILLE, Fla. - A man was killed and five other people were wounded in a mass shooting early Wednesday morning after a rap event at a gentlemen's club, the Jacksonville Sheriff's Office said. Just after 2 a.m., according to police, a silver Chevrolet Tahoe riddled with bullets arrived at Memorial Hospital, dropping off six people, including Willie Addison, with gunshot wounds. Addison, 25, died shortly after arriving at the hospital. One of the other victims was reported to be in critical condition, but the other four had non-life-threatening injuries. Police have not identified any of the other victims, whose ages range from 20 to 40 years old. Investigators said they learned that the six people in the Taho attended a rap music event at Paradise Gentlemen's Club on Baymeadows Road, between Philips Highway and Interstate 95 in the Deerwood Center area, just prior to the shooting. According to the Sheriff's Office, the Tahoe departed the club, traveled north on I-95 from Baymeadows Road and then exited the highway onto Emerson Street, where the shooting took place near the intersection of Spring Park Road. Investigators said they believe at least one shooter fired from another vehicle that pulled alongside the Tahoe and that the shooting was a targeted act of violence against the people in the Tahoe. Surveillance video from nearby Wacko's Gentleman’s Club captured moments right before the shooting. In the video, an SUV drives past on Emerson Street, followed by two more vehicles before witnesses who were outside said they heard gunfire. A Wacko's employee, who wished to remain anonymous, said he was outside when the shooting happened. He said he didn't see it, but said he heard what sounded like two minutes of continuous gunfire. Mayor Lenny Curry told News4Jax that the shooting was gang- and drug-related. "I'm sick and tired of these gangs and drug-business folks making people in our city feel unsafe," Curry said. "I spoke to the sheriff early this morning and that is what he told me." Gloria Clark caught the first flight from Atlanta Wednesday morning after she heard that her brother was one of the victims. She said he was shot in the chest and was in stable condition. "I didn’t get a chance to see (him). I didn’t get a chance to talk. I don’t know what’s going on," Clark said. Clark said she lost another of her brothers to gun violence nine years ago and wants something to change. "I think that the younger generation don't realize how precious their life is," Clark said. "They feel like it’s OK to pick (up) a gun because we see it on TV and let’s pretend we are this super person, but in reality, they are not. (My) message to them is that we need to stop." Emerson Street was closed for nearly six hours while police gathered evidence at the shooting scene, leaving orange paint on the road where they had recovered items. A man who owns a business on the same block said the crime and violence in the area is much worse than it used to be. 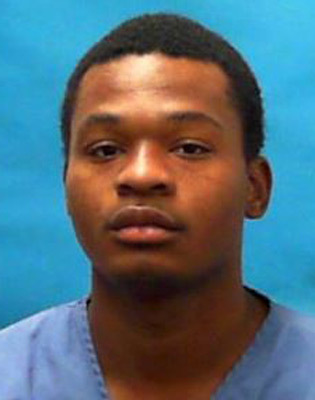 According to Florida Department of Corrections records, Addison, who is described in court documents as a certified gang member, was released from prison in June after serving six years in prison for burglary and perjury convictions. Duval County court records show, in 2010, Addison (pictured left in a FDOC photo) was arrested on attempted murder and gun charges, but the case was dismissed. 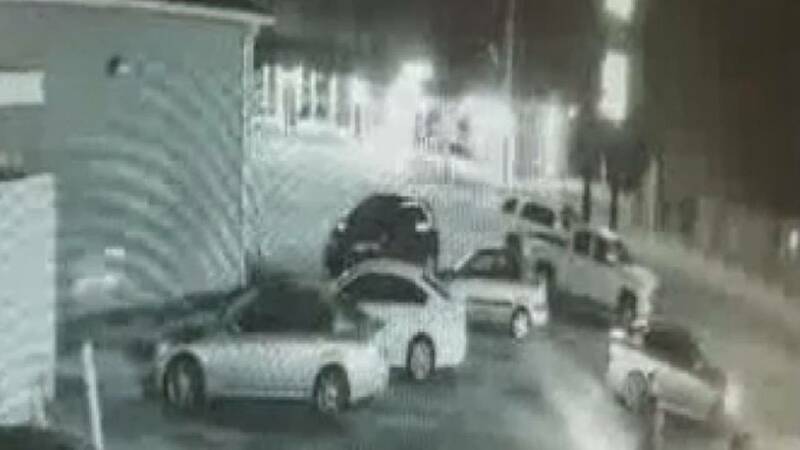 Police are asking for information from anyone who saw anything unusual at the Paradise Gentlemen’s Club or who saw a vehicle following the victims’ Tahoe away from the club on I-95 North or in the Emerson Street area. Tips can be submitted by calling JSO at 904-630-0500 or emailing JSOCrimeTips@jaxsheriff.org. To remain anonymous, contact Crime Stoppers at 1-866-845-TIPS (8477).